Kiss of Death will be shown as part of the 54th New York Film Festival. September 30 – October 16 Thank you so much to Victoria Mature for the information! This year’s Retrospective section of the 54th New York Film Festival will feature a two-part lineup headlined and inspired by Bertrand Tavernier’s magnificent epic documentary My Journey Through French Cinema: in addition to that film, NYFF will screen a selection of French classics featured in the documentary and a 12-film exploration of one of Tavernier’s favorite American directors, Henry Hathaway. ... Additionally, in line with Tavernier’s passionate devotion to American cinema throughout his career, the Retrospective section will feature a selection of films by a director he has always greatly admired and championed, Henry Hathaway. The 17-day New York Film Festival (September 30 – October 16) highlights the best in world cinema, featuring works from celebrated filmmakers as well as fresh new talent. The selection committee, chaired by Jones, also includes Film Society Director of Programming Dennis Lim; Associate Director of Programming Florence Almozini; Amy Taubin, Contributing Editor, Artforum and Film Comment; and Gavin Smith, who serves as a consultant. Hathaway was one of the first Hollywood filmmakers to make a practice of shooting on location—his environments are always integral to the life of the story. 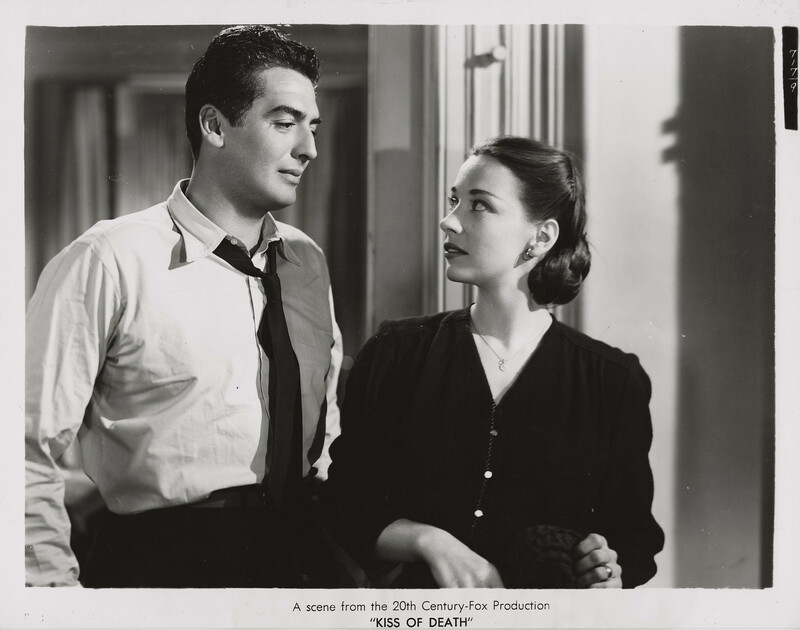 This 1947 film, about a jewel thief (Victor Mature) targeted by the mob when he cooperates with the DA, was shot all over New York, from the criminal courts building on Centre Street to the Bronx, and became one of the most influential of the postwar docudramas. Hathaway wanted a local hood named Harry the Hat to play the psychopathic killer Tommy Udo, but he was forced to work with a newcomer named Richard Widmark. They clashed in the beginning, and then cooperated on a truly terrifying character creation. A 20th Century-Fox release. Here is a great picture of Victor and his mother Clara! 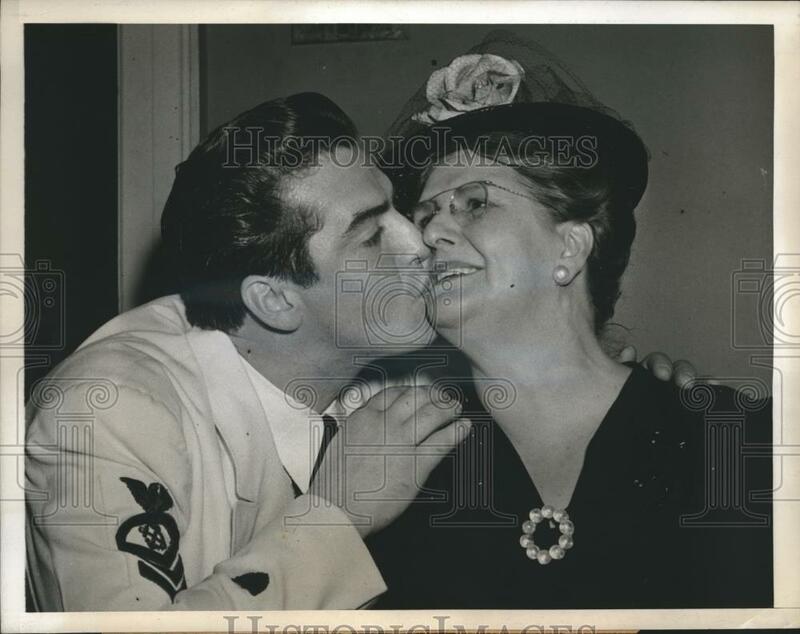 She was visiting him in his dressing room at the Earle Theatre in Philadelphia where Victor where was starring in the Service musical comedy "Tars and Spars."